Celebrate with a Torta Di Bosco … a traditional Italian fruit tart. At La Dolce Vita, we make these desserts using only the freshest and sweetest fruits. Crostata and Fruit Tarts include exotic fresh fruits, that lay upon a light Chantilly cream and nestled in a crispy cookie dough crust. We also have heart-shaped tarts available! 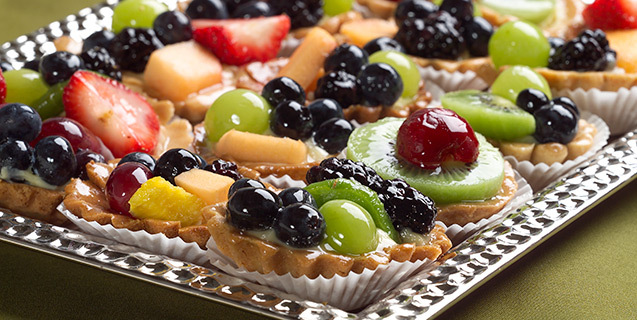 We offer our fruit tarts in different sizes.